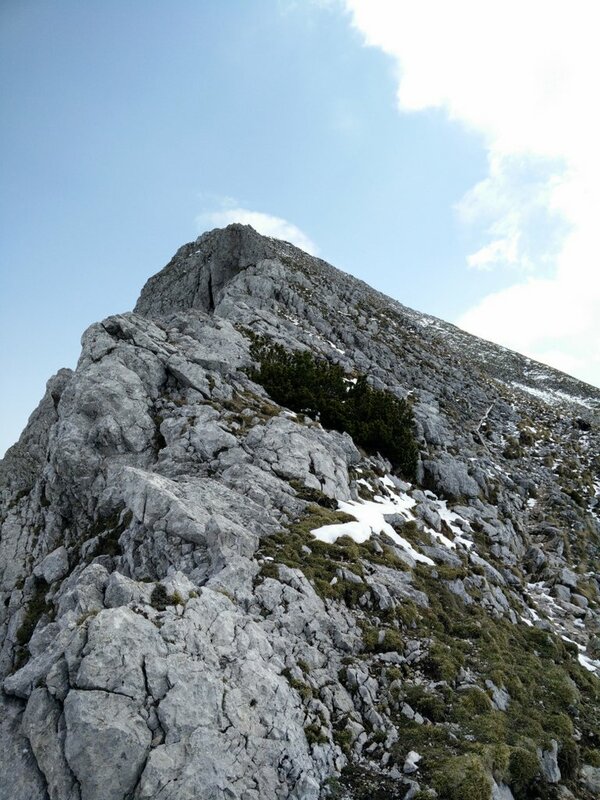 For the first hike of my “Hiking the Alps” tour, I decided to climb the Begunjscica mountain. 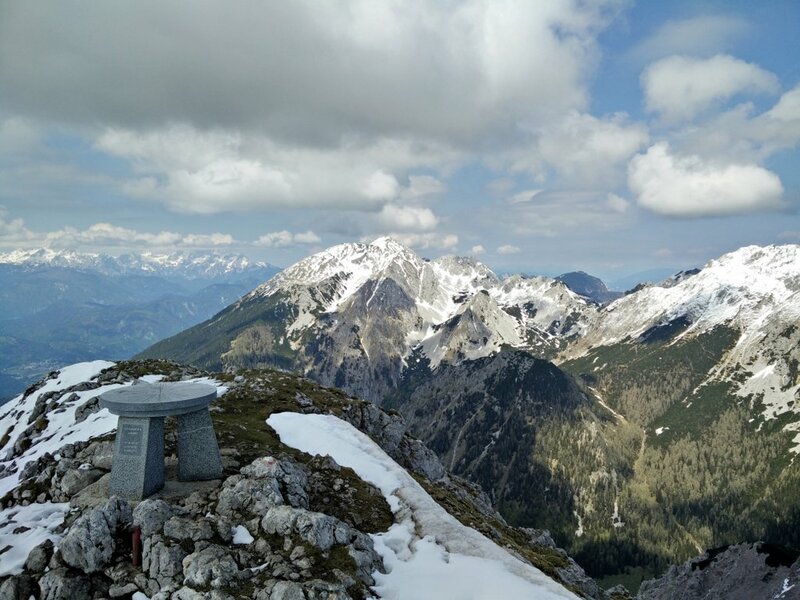 Begunjscica is a little over 2000 meters high mountain in the north-western part of Slovenia; a small Central European country, bordered by Italy, Austria, Croatia and Hungary, where you find the easternmost part of the Alps. Begunjscica is a part of the 120 kilometers long Karawanks mountain range which runs on the border between Slovenia and Austria and offers some great mountains to climb – the highest being Stol (Hochstuhl) 2236 meters above the sea level. 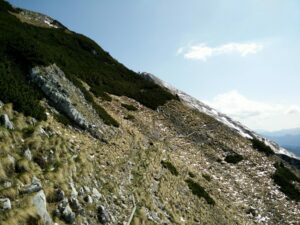 I wanted to start my “Hiking the Alps” earlier, but as the snow in the mountains didn’t completely melt yet Begunjscica seemed as the best option to start a new exciting hiking tour. 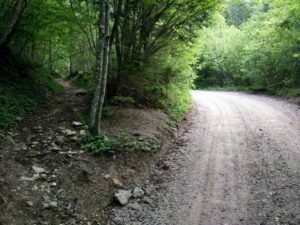 The trail is not technically challenging in summer and late spring, but it requires good physical preparedness due to the great distance and ascent. In other seasons additional equipment, such as crampons, ice axe and gaiters, is required as the mountain is covered with snow thus making the ascent much more difficult. For those who are into ice climbing, Begunjscica offers several approach routes that lead through grooves and are very popular among alpinists. I, however, took the least technically challenging route which starts in the proximity to a small village called Begunje na Gorenjskem. Begunje na Gorenjskem lies in the proximity to the E61 highway that connects Slovenia with Austria and Italy. Unfortunately, the starting point is not accessible by public transport – there seems to be no public transport routes to Begunje na Gorenjskem and even if you by any chance find one it would take you additional 3.3 kilometers by foot from the village to the starting point. This would add another 7 kilometers or so to the distance covered and thus make the hike physically very demanding. 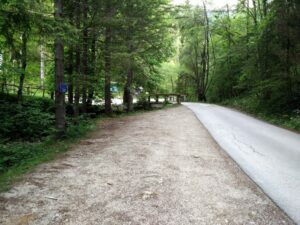 To reach the starting point you need to drive along the E61 highway between Jesenice and Ljubljana (or vice versa) until you reach the Lesce exit. Then take the exit and follow the directions for Begunje na Gorenjskem. After driving for approximately 1.5 kilometers you will reach a village called Hlebce – continue through the village and soon you will arrive to Begunje na Gorenjskem. You should also drive through this village, but only until you reach the directions sign for Trzic. Here you should continue straight ahead on the road that runs along the river (not to the right towards Trzic). After driving for approximately 2 kilometers you will reach a big parking place where you can safely park your car for free. There is also a restaurant (Gostisce Draga) close to the parking place. If you have a GPS device use 46.397395, 14.222874 coordinates in order to reach the parking place and starting point for the trail. From the parking place, begin walking on the main road (which eventually becomes a wide dirt track) towards north-east and after approximately 500 meters you will reach a crossroad with a sign for directions. Here, continue towards Roblekov dom and Begunjscica (Veliki Vrh). From here on the trail is marked with red and white circles which are conveniently painted on trees and rocks every couple hundred meters in order to help you with the navigation. If you are not using a GPS device with the above attached GPS route, I recommend that you carefully observe the surroundings for these circles as there are many side paths on the way to the top. From the directions sign you will be hiking on a relatively steep wide dirt track but only for approximately 1 kilometer. Then the trail splits left from the wide dirt track on a much narrower path which runs towards north-west. Continue on the narrow path through the woods for approximately 1 kilometer – be aware that the narrow path crosses the wide dirt track for couple times but you should always stick to the narrow path. 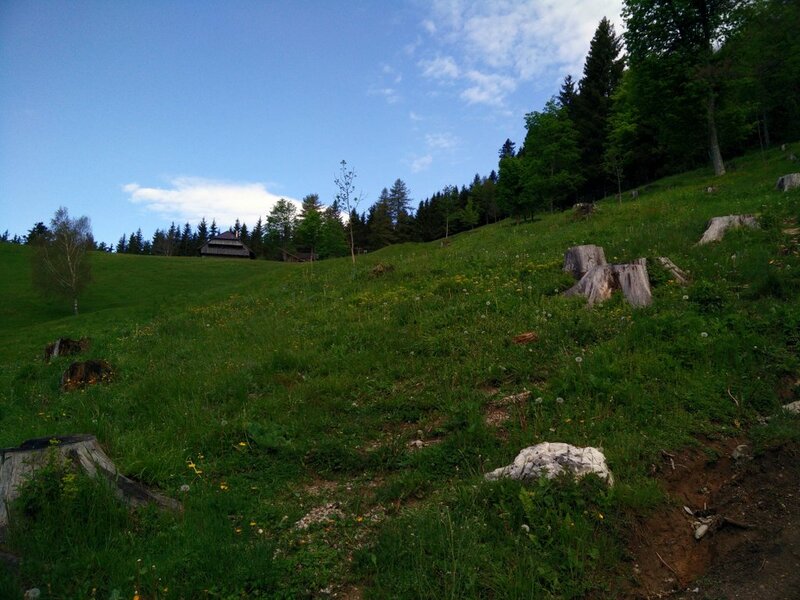 After hiking for 2.2 kilometers altogether you will reach a glade where a small mountain hut is placed. Climb up to the mountain hut and continue left on the wide dirt track that runs behind the mountain hut. After walking for approximately 600 meters you will reach another mountain hut – Tomceva Koca na Poljski Planini. 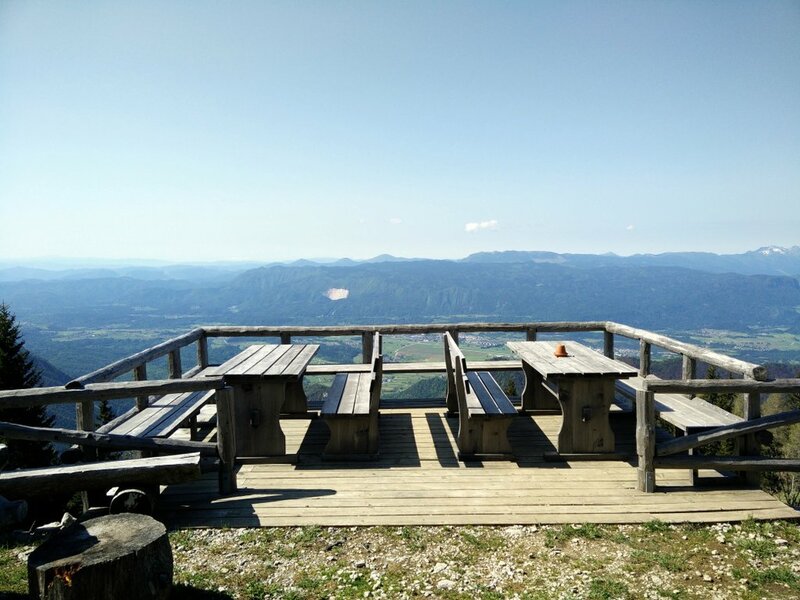 This mountain hut is opened during weekends and provides drinks as well as cooked meals. The trail continues behind the mountain hut and there is also a directions sign. 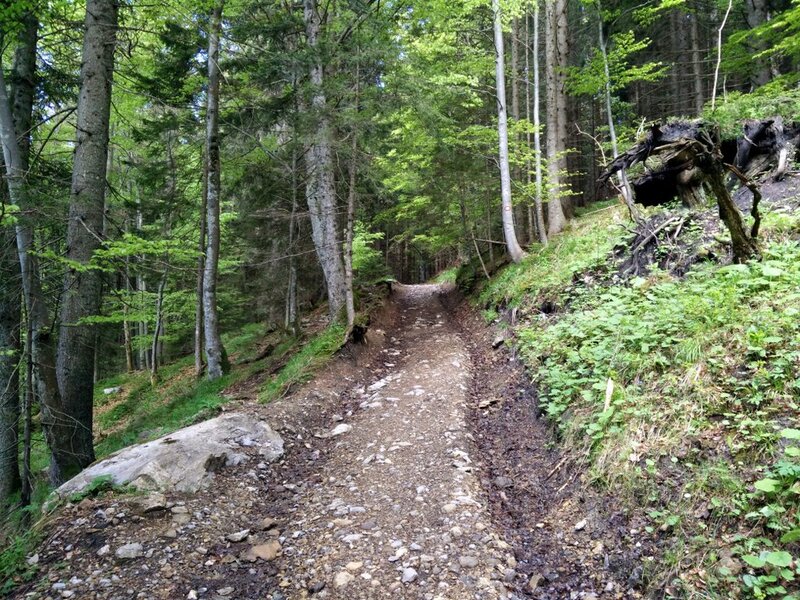 Here, take the path that leads towards Roblekov Dom and stay on it for approximately 3 kilometers. The narrow path ascends steeply through the woods towards the mountain’s ridge. Observe the surroundings for red and white circles in order to avoid the navigation problems; there are also some side paths that don’t lead to Roblekov Dom. Soon you will arrive to a directions sign that directs you left (Roblekov Dom). 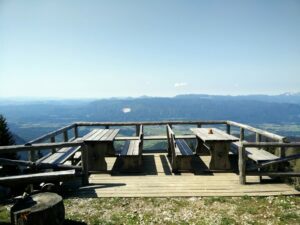 After hiking for approximately 10 minutes you will reach Roblekov Dom mountain hut which lies 1657 meters above the sea level. 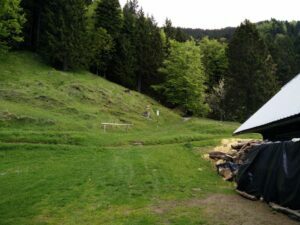 Also this mountain hut is opened during weekends and provides drinks and cooked meals. 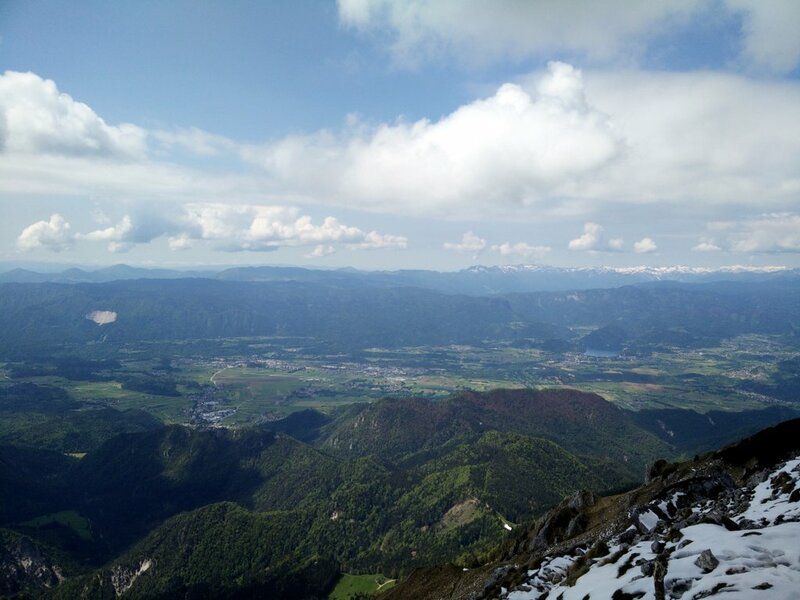 Here you will get a great view on the Julian Alps and the valley below the mountain where the famous lake Bled lies; before this point, the trail is surrounded by woods which obscure the view of the surroundings. From Roblekov Dom continue on the path that leads towards north-east. The path becomes very narrow and rocky, and climbs steeply along the ridge. At the time I was doing the hike (late May) there was still some snow up there, but melting – which made the trail was quite swampy. Good footwear was therefore essential to keep my feet dry and provide good traction. The trail also crosses some very exposed areas and thus some caution is required – especially if the trail is covered with snow. 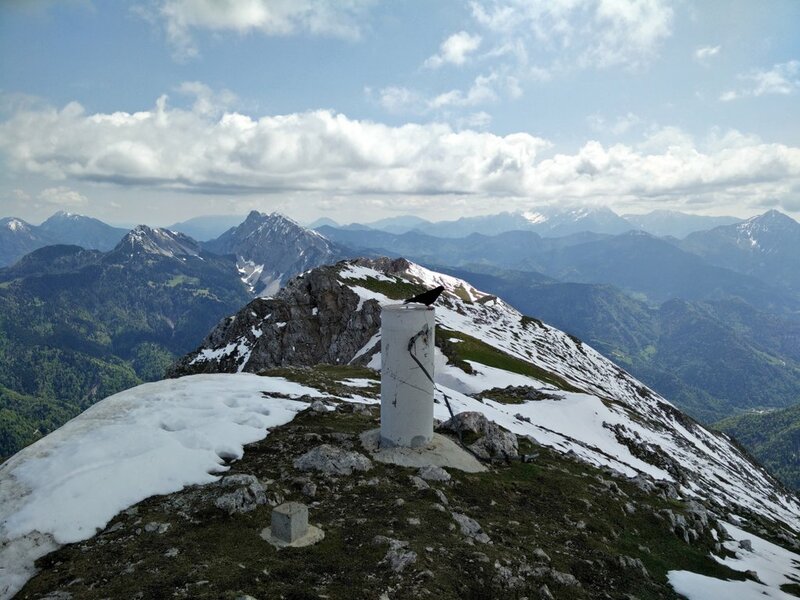 After hiking for a little less than 2 kilometers you will reach the top of the mountain 2064 meters above the sea level. 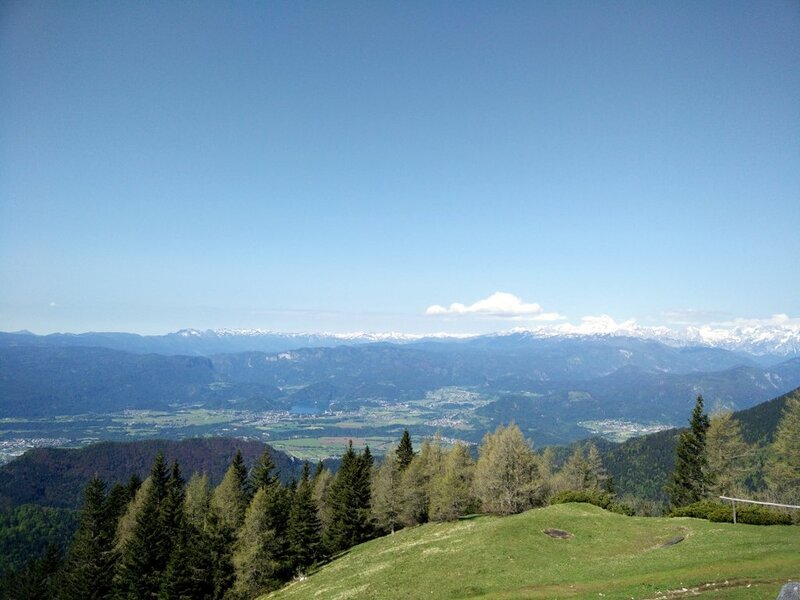 From there you will have an amazing view on the Julian Alps, Karawanks and other surrounding areas. For the way back I used the same path as for the climb. There are, however, also other options to descend the mountain but they all significantly prolong the hike. Although I arrived to the starting point by car (easy to return if something goes wrong), I wanted to hike as lightweight as possible as I knew that the hike is quite physically demanding. 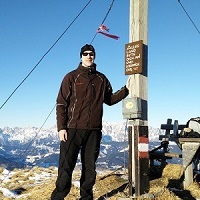 I was wearing a WoolPro Agena long sleeve t-shirt, lightweight jacket made of Polartec fleece, lightweight Montane Terra Pack pants, Salewa hiking boots and socks made of Coolmax fibers. I also used hiking poles in order to delay exhaustion. 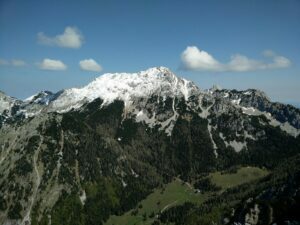 During the last part of the ascent the wind got quite strong and I had to put my Woolx hat on. In my Osprey Talon 44 backpack I was carrying a Softshell jacket, gloves, food, water and some accessories. If you are doing this hike in winter, early spring or late autumn don’t forget to check the weather and snow conditions before going. If the weather forecast is bad or there is an avalanche danger, I strongly recommend postponing the trip. 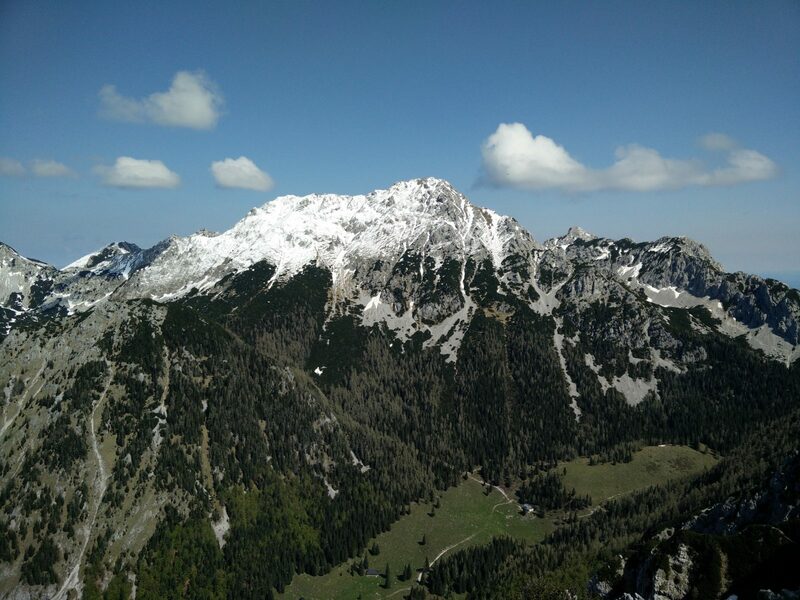 During these seasons you will also need crampons and an ice axe in order to safely ascent the mountain. As the distance is great, take enough water with you to stay hydrated – at least 3 liters. 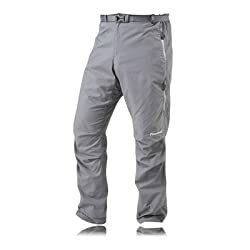 The Montane Terra Pack pants are perfect for hiking in terrain such as the Alps as they provide great durability and comfort while being extremely light – they weigh merely 280 grams. The pants are made of very thin Tactel fabric which was developed by the well-renowned Invista company. The fabric also offers some basic weather protection – it repels the water rather than absorbing it and efficiently blocks the wind. 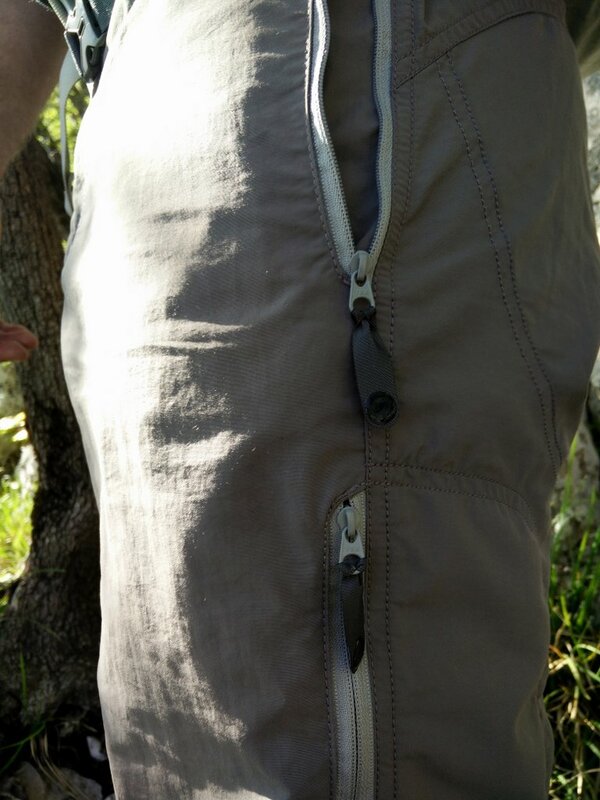 I was very satisfied with these pants throughout the hike as they kept me at a comfortable temperature no matter the conditions (warm in the valley, relatively cold up at the top). Therefore, I would recommend these pants to every hiker who wants a pair of durable and comfortable pants for his or hers adventures. 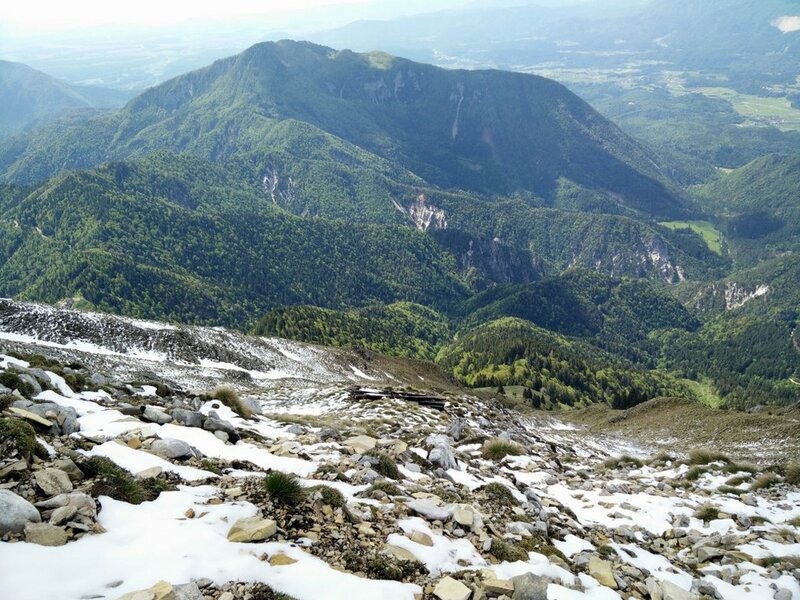 The Begunjscica trail is best for those who already have some hiking experience and are physically well-prepared. The trail will take you through the dense woods and then over a relatively exposed ridge to the top of the 2064 meters high mountain. On the top you will be rewarded with a great view on the surrounding areas. I strongly recommend you to check the weather conditions before going as very bad weather could make this hike dangerous.